We think this custom piece is gorgeous - no bull! Lorie at Junktique hand painted this beauty using Whitewash Wood Stain for a perfectly rustic finish. Lorie shares, "I think this silhouette may be "actual size" grin emoticon This thing is huge and weighs a ton! We are not, however, selling it by the pound!! You can come get this monster for $50 at my shop in Hampstead today! 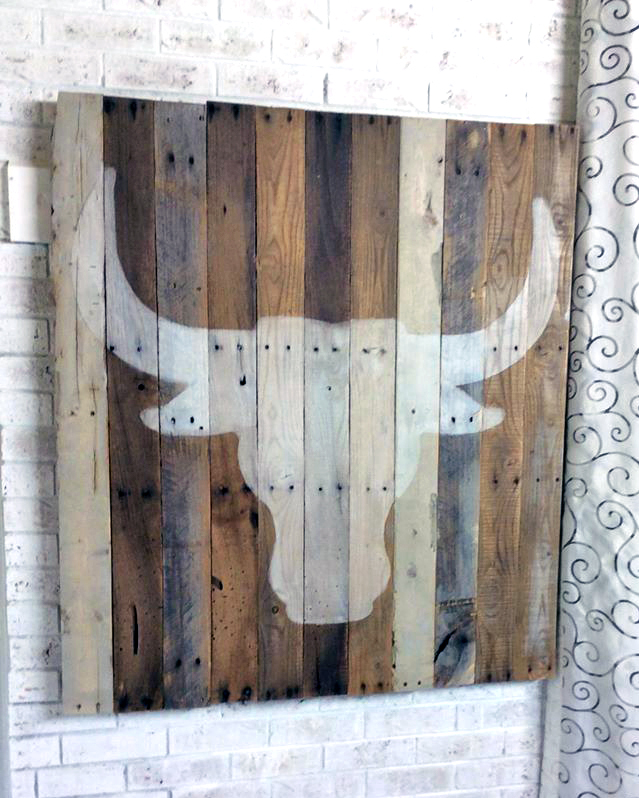 This piece is made of salvaged wood, with a silhouette steer head done in General Finishes Whitewash Wood Stain WHICH I LOVE!! Get some on my website - www.junktiquenc.com Stay tuned - I will be doing a lot more with the GF Whitewash Stain. It is water based and you can wipe it on as thick or thin as you like by using a wet cloth - EASY PEASY!!"